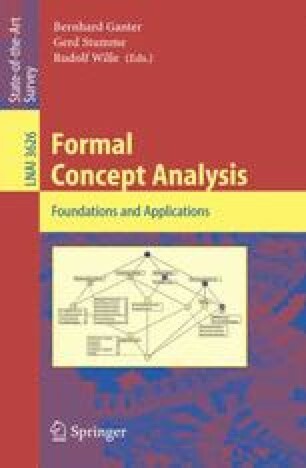 Formal Concept Analysis (FCA) has typically been applied in the field of software engineering to support software maintenance and object-oriented class identification tasks. This paper presents a broader overview by describing and classifying academic papers that report the application of FCA to software engineering. The papers are classified using a framework based on the activities defined in the ISO12207 Software Engineering standard. Two alternate classification schemes based on the programming language under analysis and target application size are also discussed. In addition, the authors work to support agile methods and formal specification via FCA is introduced.